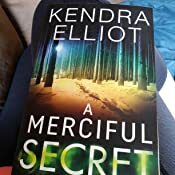 A Merciful Secret (Mercy Kilpatrick Book 3) - Kindle edition by Kendra Elliot. Romance Kindle eBooks @ Amazon.com. I really like the first book, so I bought the second book and now the third in the series. 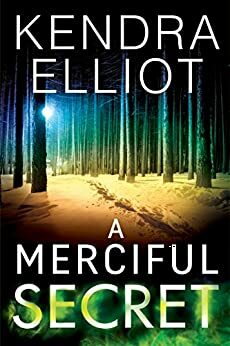 I liked the character of Mercy at first, but now, after reading the second and third book, I'm finding I'm not liking her as much. Her language as well as that of others around her ( including her boyfriend, Truman) is getting rougher and rougher and really without any legitimacy. I feel like she is getting uglier, not someone I would want to get to know. I watched a movie the other day that had a gorgeous lead woman who had a very foul mouth and it seemed that every other word was a f-bomb expletive. This woman was an awful person who did some really terrible things to those around her and I believe that the writers of the film used her foul mouth to show what her character was supposed to be from the inside. Her language was a "tell". And I think that this movie and the writers use of language is no surprise - it worked and it continues to work. Why would this author use such bad language for a supposedly great person who cares about those around her? There really is no need for this use of language. It almost makes Mercy, Truman and the others look stupid. Jeez, learn a language already, use more intelligent words to express anger or dismay. I seem to be able to do it along with most people I meet. I also watched another movie the other day. Full on action thriller, guns a blazing, car chases, murder, mayhem - I'm sure you get the picture. I was totally engrossed in the film, thought it was great, kept my attention the whole 2 hours. Guess what, it had exactly one f-bomb. Come on Kendra Elliot, make Mercy likable again. 5.0 out of 5 starsI loved it!! As always Kendra delivered a story that had me on the edge of my seat. There were a few parts that were not as fast paced as others but over all it was a fantastic read. It seems that Mercy can get herself into all kinds of trouble even if she isn't looking for it. And not just any kind of trouble. Oh no, she has to get herself buried neck deep in the snow, gun fire and well, ya know, fire. Throughout it all she has her friends (co workers) and Truman at her side. Every step towards the answers she seeks sends her closer and closer to the answers she seeks, even if those answers may be the last thing she gets out of any of it. I love the characters, I love the storyline and I can not wait to see what Kendra comes up with next! 4.0 out of 5 starsKeeps you guessing!!! As always Kendra delivered another great story!!! The plot was suspenseful and interesting. I loved the return of Ava and Michael!!! I hope to see them again. I had the thought early on who the bad guy was but it didn't take away from the story. Especially to find out just how crazy they were and their motives. We are made to believe that the story behind the murders is one thing when in fact it was something completely different. 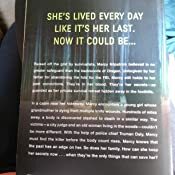 I liked that there was a bit more romance in this book but it is still lacking the romance that Kendra has delieved in her other books that connect the heroine and hero together. I guess because of this I have a hard time feeling the connection between Mercy and Truman. I hope this is not going to be a new thing with Kendra's future books. Overall this is another good book by Kendra and I'm looking forward to the next one. If you haven't read any of Kendra's previous books then I highly recommend that you do!!! You won't be disappointed!!! I’m becoming a bit of a Goldilocks with audiobooks. And the formula that’s just right for me involves a steady pace and a straight forward plot. This series fits the bill, although this book was not as strong as the prior two. While I really enjoy Mercy and Truman and it warms my heart to see their developing relationship, I felt there was too much of their looking longingly at each other. It detracted from the story and made me wonder if I was listening to a romance novel or a mystery. The plot involves the murder of two seemingly unrelated people. One, a local woman, was considered a witch by many in Eagle Rock. We hear chapters from her daughter, Salome, giving the history of her teenage years. I don’t recommend reading this as a stand alone. You need the background, especially Mercy’s, provided in the earlier books. While I wasn’t as enthralled with this book as the prior two, it’s still a decent mystery and I will definitely read book four. 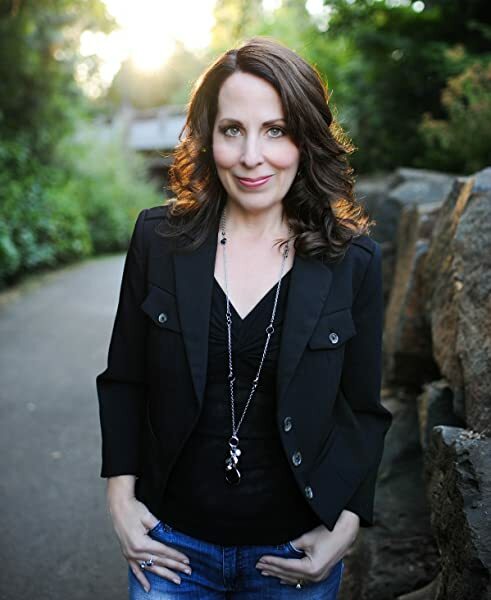 I’ve got to give kudos to Teri Schnaubelt. She does a masterful job as the narrator. 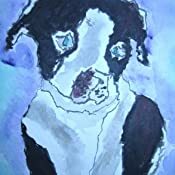 5.0 out of 5 starsMercy's back and in the best book yet! This is the best Mercy book yet! I love these books, Mercy is a decidedly different character from those in all the other crime series I read.I love the prepper descriptions (although I may be becoming a little paranoid myself- I actually spent an hour looking at a survivalist site yesterday- a bit useless since I live in Manhattan and would have to teleport away in case of TEOTWAWKI -look it up in Merciful Secret). But the book does inspire me to think about ways to plan for the unknown, and not just drift along. The continuing story of Mercy's sister Rose is wonderful and I look forward to more. The characters in this book were really thought provoking. many,many surprises, and the first person voice of Salome can break your heart. This is a book about relationships- some forming, some breaking, some having to be re-written. As for the murders themselves,just when we think we have it figured out, wham- it's all up-ended. Thanks Kendra for a great read,for the hours of escape from what can be depressing times. I cannot wait for the next installment.